How can a simple request for food turn into a security situation? The following article is from a copy of a customer service email that was sent to our partner site AirSafe.com. It is about an American Airlines Flight on August 4th where things got a bit out of hand between a flight attendant and two passeners. Some of the contact information was removed, but all of the emotion remains. On Wednesday August 4th 2010 my fiancé and I flew from Orlando airport to Chicago O’Hare airport on AA Flight #1212. The customer service during this flight was horrendous and needs to be dealt with in an immediate manner. We were treated like criminals by a flight attendant just for asking for cheese and crackers. Due to this incident we will never fly American Airlines again unless the situation is handled properly. The flight left the gate on time however a minute after leaving the gate they announced that the flight was going to be delayed for over an hour due to weather in Chicago. When we called our family in Chicago they said that the weather indeed had been horrible. Our question is why in the world would we leave the gate if the weather was that bad and wouldn’t they have checked this prior to leaving the gate? How could they have not known the weather was bad just two minutes before? This inconvenience was not comfortable to deal with but I would never write a letter like this just because of this problem. The major issue, which is why we are writing this letter, is the service that was provided by one of your flight attendants named Darlene and the resulting events. With both of us being in customer service fields we see and deal with many patients and guests every day. One of us is a nurse practitioner and the other is a hotel manager. We both know the level of service that is expected and needed in customer service fields. On Wednesday August 4th that level of customer service was not met and was breached beyond belief. It is the worst customer service that I have ever seen or experienced in my life by an airline attendant. When the plane took off it was a quiet ride until it was time for drink service. We were seated in an exit row about half way down the plane. We did not buy snacks at the airport because we thought we would be arriving before lunch in Chicago. However, since we were delayed I decided to purchase the cheese and crackers snack since I was very hungry at this point. I then proceeded to ask Darlene if I could purchase the cheese and crackers, Darlene then rather rudely responded we are out of cheese and crackers. When I asked what else she had she took a bag and threw it on the cart and said “these”. I then asked what “these” were and she answered I don’t know some kind of nut mix. I responded do you have anything else available because I am allergic to some nuts. Remember we are only halfway through the plane and nuts were the only thing you had left. I understand that the airlines are feeling the economic pressures and that items are no longer given away for free but you should have the proper amount of product to be bought if offering this to customers. She responded no and so I asked how can you run out of all snacks when you aren’t even half way through the plane. Darlene responded well I don’t stock the plane and if you don’t like it you can write a letter to corporate. This comment was given in a very sarcastic loud tone. Seeing that this was going nowhere and Darlene was not being very nice and becoming very animated, I very politely asked her to be quiet and not talk to us anymore because she isn’t helping the situation and if she could please serve us our drinks and drop the snack issue. She continued to badger us and kept talking about how she did not pack the cart and we should write a letter. We then asked her to please stop talking to us and leave us alone again. At this time she replied did you just tell me to shut up. My fiancé replied that this was horrible customer service. She then said if you continue to talk I will have security meet you at the gate when we arrive. We then asked her again to leave us alone which she replied you’re harassing me and I don’t need this and turned and stormed towards the front of the plane. 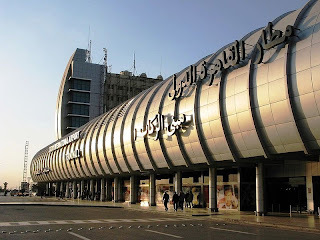 We were unable to walk away from the situation like I normally would because we were trapped in our seats by the two flight attendants and the service cart. We both sat there in shock of what just happened. She then went to the front of the plane and came back and said security would be waiting for both of us. Darlene then said to the other flight attendant standing there that she would not serve us and asked him to do it. At that time we asked the other flight attendant if he heard what was taking place and want we did wrong which he replied that he wasn’t paying attention and he only heard us ask her to leave us alone. About 15 minutes later she came down the aisle and gave us paper work that stated that we were interfering with airline business, being verbally abusive and intimidating an airline employee. First of all during the whole encounter the only thing that my fiancé said was this was horrible customer service and he was also given this paperwork. Secondly neither of us should have received this letter as the Darlene the flight attendant was the only one in the wrong in this situation. Neither of us at any time interfered with any airline business and at no point did we ever threaten her or verbally abused her. We never even stood up in our seats, cursed at her or made any demeaning or threatening comments. How is asking someone to leave you alone threatening? If anyone was becoming aggressive or threatening, it was Darlene not either one of us. After we received the paperwork we called over the other flight attendant again who was present during the whole situation and asked him why are we receiving this and what does it mean. He said well I wasn’t paying attention so I don’t know why you are getting the notice and he did not know what it meant or what would happen but he would send Darlene back to answer this. Are you telling me, that you as an airline employee seeing a confrontation occur with a passenger that you are not trained to watch the situation to see what occurs especially when you are three inches away from the situation? If the situation was so severe that it is going to involve security why would another flight attendant not get involved? Wouldn’t you step in and try to diffuse the situation or at least assist your colleague? Also, are your flight attendants not aware of what these notices mean and how to properly use them since he could not explain this to us? We then had to sit there for over an hour wondering what was going to happen and if we were going to be arrested. Being so upset and bothered by the situation I cried for over 20 minutes and was tortured by the fact that we didn’t know what was going to happen. When we got off the plane Darlene was standing with 10 American Airline Corporate security agents. Darlene pointed at us and said “that’s them”. Everyone on plane then looked at us as they were walking by like we were terrorists or criminals when we never did anything wrong. When the head security agent, Joe, saw us he told the other agents that he would take care of the situation and to go about their business elsewhere. Joe was extremely respectful and told us to continue on to the end of the jet way and wait for him. He then explained that he already spoke to the flight attendant but that he needed to hear our side of the story because they still needed to make a report. We proceeded to tell him the details of the incident while the whole terminal was staring at us. He then apologized that this happened and stated that we were not in trouble and there would be no further repercussions for us. We then told him that we wanted to make a complaint against Darlene. I explained that this was such a silly thing to be calling security over and what a huge waste of our time and I wanted the airline to be aware of how their flight attendant is acting due to the fact that her instability could affect her ability to perform necessary flight actions. The security agent agreed with us and thought that Darlene was the one that was wrong. We proceeded to retrieve our luggage where I asked the customer service representatives if I could please speak to the flight attendant supervisor. They replied that they had no idea how to get a hold of them and to send an email. I then proceeded to the ticket counter where I again asked to speak to a flight attendant supervisor. The first representative said that she had no idea how to get a hold of one and then called over her supervisor who then proceeded to call flight services. Flight services wanted to speak to me over the phone who it turned out to be the security agent, Joe. Joe explained to me that the flight attendant supervisor was not in today. I asked if I could call her tomorrow then and he replied that there is no number to reach her at. So then I asked if he could leave her a message so she could call me back as I wanted to make her aware of the situation, he said this was possible and that Jennifer would be calling me the next day. Over ten days later and I have still not received a phone call. The customer service that was provided by Darlene we are sure is not what you expect from your employees. Working in the medical field and the hotel industry we know that we would want to know if this extremely poor level of customer service was being shown to our guests. We expect that something should be done with this letter as it was the worst travel experience that we have ever had, and further more the worst example that I have ever heard of. We also expect to be compensated in some way for the inconvenience and suffering this has caused. With many choices of airlines to fly on we will be very skeptical to ever fly on American again unless you truly show that this is not the level of service that should be provided by American Airlines. We will be happy to discuss this issue further at anytime. Question of the day - Can I take peanut butter in my carry on? 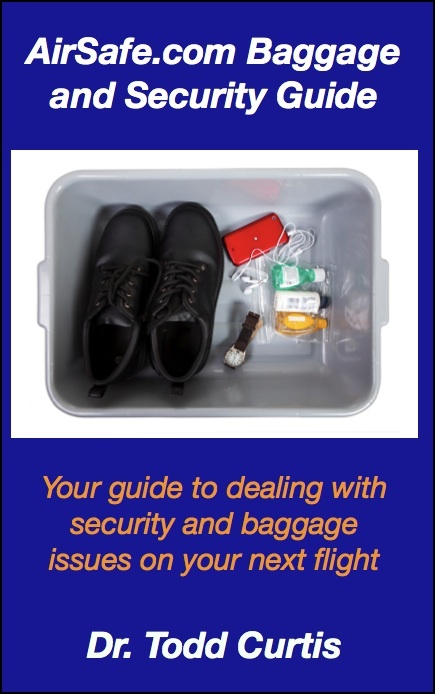 Sometimes at AirSafe.com, we get interesting questions about what the TSA allows in carry on baggage. Marie wrote in about whether she could carry an unusual combination, containers of peanut butter and tuna in the cabin in her carry on bag. Thank you for taking the time to contact me. 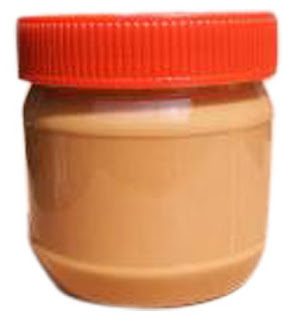 I'm not sure about the rules on peanut butter, but it will likely be considered a liquid or gel, and not be allowed in the passenger cabin if the container is larger than 100 ml (3.4 oz). I'm assuming that your peanut butter container will be larger than this, so prepare to put it in checked baggage or to pack it in several smaller containers. The can of tuna should not be a problem, but here is where there may be a gray area. 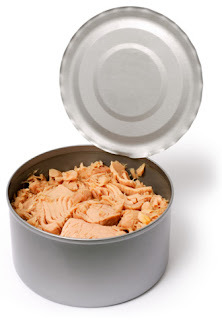 Canned goods are not on TSA's list of prohibited items, but if the tuna can is greater than 3.4 oz capacity, and a TSA agent believes it contains a liquid, paste, or gel, then it is possible that the can will be confiscated. I know it seems a bit odd that a TSA screener would think this way, but they do have wide latitude when it comes to allowing something through. My suggestion is to make sure that the label is on the tuna can. I do hope that this is helpful. 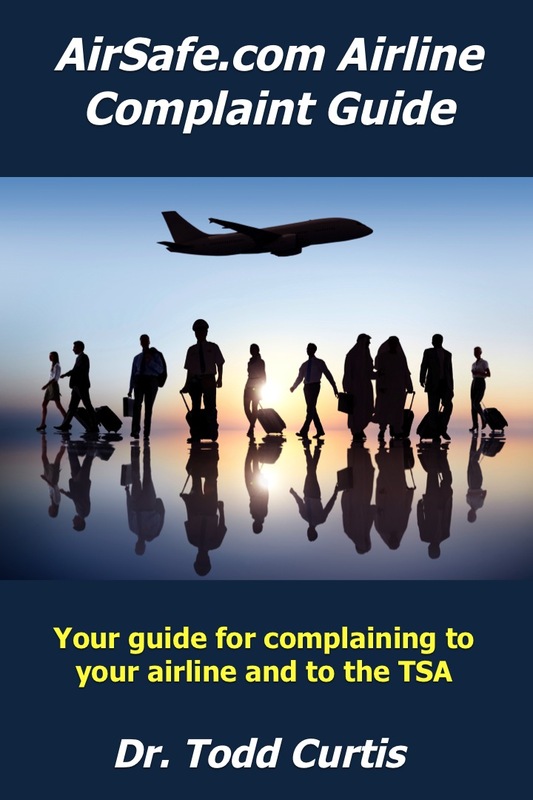 You may want to review tsa.airsafe.org, which has an overview of what is allowed and not allowed on an aircraft. 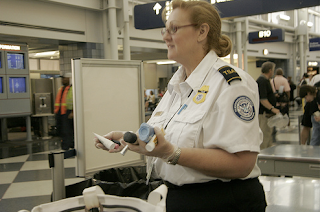 Before 9/11, airport screening was largely done by private contractors, and although baggage was not as thoroughly screened as they are now, carry on bags were typically x-rayed. After a visit with my parents, my mother sent me off with a bundle of her famous homemade enchiladas, which she froze and wrapped in aluminum foil. Going though security, the security staff clearly saw a large, opaque, and roughly rectangular object in my bag, and they had a look of concern on their faces. Were this to happen today, I'd likely be hustled off to the side for some extra scrutiny. 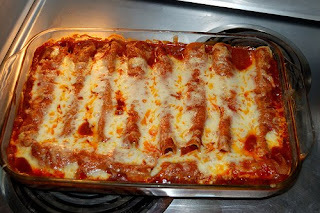 However, it was a different time and place (the place being Texas) and all I had to do was explain that it was my mother's frozen enchiladas, and their frowns turned to smiles as they waved me through. Reading a story like this makes you wonder if some flight attendants just don't care about a suffering passenger. I'm an Australian university student aged 20 and had been on a volunteer project in a small village in Ecuador during December. On the day I left the village I became sick with a gastric bug, suffering with diarrhoea and vomiting. 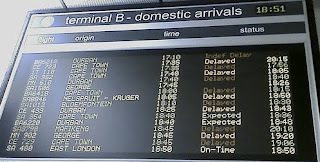 I was ill on the bus and at the airport, although my symptoms stopped before I boarded the flight. Once on the plane I asked the flight attendants several times for water. Once I was given two sips of water in a cup. I was quite distressed with thirst and tried to sleep but was too thirsty to do so. At one point I walked to the back of the plane and asked the steward for water. He acted as though he couldn't understand me. 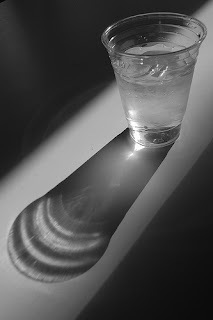 I said "agua por favor" and the steward responded in perfectly good English, "When you learn to speak Spanish, I'll get you some water", whereupon he opened a bottle of water and poured a tiny amount into a cup. I’m troubled that the flight attendants could not provide me with at least one cup of water. I couldn't eat a thing, I don't drink alcohol and by the end of the 6 hour flight I was dehydrated - obviously a serious condition. I wrote a letter of complaint to Copa Air on 23rd December but have received no reply. I would like to receive an apology for the poor treatment which I received. An apology from the airline would be the least that they could do. An even better thing that the airline could do is to guarantee that no passenger, whether sick or healthy, has to beg for a cup of water.